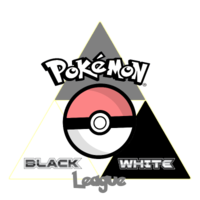 ZeldaInformer Black and White League: Let the Games Begin! Well folks, it’s finally upon us. Today is May 21st, supposed end of the world. Sounds like a perfect time to kick off the ZI League! That’s right, today officially starts the League. All you patient Challengers can finally get started racking up badges and getting closer and closer to the Champion! , you can start challenging! The Leaders are working on putting up Challenge threads in the “Leaders/Elite Four Public Discussion” forum. As soon as Gym Leaders 1, 2, and 3 get their threads up, you can challenge them, except for Gym Leader #1. Newc868 has had some problems acquiring a WiFi network. He’s still constantly working on it, and he is confident that it will be sorted out shortly. , it is not too late. Register for the ZeldaInformer Forums and read up on the rules. You can register in this thread. After that, just follow the procedures for as stated above for challenging the League. I also promised news on Gym Leader #6, and I’m here to provide. There have been several rumors on the Forums about River Zora or AShadowLink being GL 6. I’m here to say that these rumors are false. The true GL 6 is Christiaanc95. He’s a longtime challenger of the original ZI League, and he’s stoked to be coming on board as a Leader this time around. He will be using a Zelda theme, and his mascot will be Ganon(Emboar). Well, that covers it. What are you still doing reading this? You should be out challenging the League!